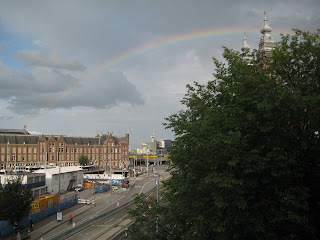 This rainbow appeared the afternoon I was in Amsterdam, right over Central Station and right out my window. Here are photos from my shopping outing yesterday. FYI, don't wear flip flops in the rain in Europe. These cobblestone streets when wet are very slippery and I almost busted it several times- you know the kind, the -woah-I-am-about-to -fall-but-whew-ok-I-didn't-so-now-I-can-laugh-but-have-to-check-and-see-if-anyone-noticed slip. Tamara didn't want me to leave and I wasn't quite ready to have to leave early in the morning either, so it looks as if I am staying another day in Zutphen. I had great fun shopping today. I had an amazing coffee this morning at a random quaint little coffee shop that I stumbled into this morning. It was raining, but I really wanted to get out, so I put on my flip flops and rainjacket, put money in the front pocket, rolled up my pants legs and off I went. It was so wet and a little cold and the coffee shop was right there and smelled so amazing and I had just stumbled out of bed so I had to go in. It was 3.50€ but worth it. They called it Susan's special and I recognized the word hazelnoot, but that's all I know about it and it was delicious. Everyone here speaks English and they speak it very well. Most of the time they don't even have an accent and sound like they are from the midwest or something. All the shops are different, and much more different than we have. It is just the cutest little village, and there are bakery's and toy stores and it is so much fun! I could have stayed in the toy store all day long. They have those toys I dreamed of when I was a child. Castles, dragons, princess dresses, pirate ships and beautiful baby dolls. I took pictures. 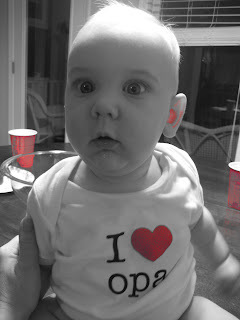 It all gave me an idea and I found a little infant clothing store that I had passed earlier and I went inside and got Natty a little onesie that says I love Opa! 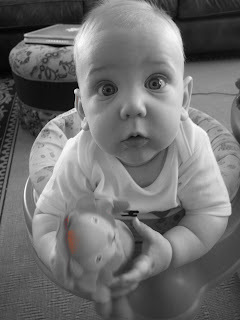 (grandfather)...they even had ones that say I love (heart) Papa, which is really what we call Dad, but Opa is just so Dutch! I stopped in at the drugstore where Mirjam works to say hello. They sell candy in the drugstore here in large bins...like the do in specialty stores in the states...all the Haribo gummy stuff. So I ate a free strawberry gummy and then Tamara dropped in because it was her lunch hour and I followed her back to her work. I went inside her work to have a coffee with her and then walked to the second hand store, but found no real treasures. They do have some cool furniture stores here. Mostly like IKEA, which I don't really like. But these are like the original IKEA-like stores. They have a neat greenhouse store that has a moving sidewalk in it and was huge, like the size of Home Depot, but all flowers and pots and plants and even live birds and rabbits! That was fun. So after Tamara came home from work she insisted on making rice and beans and eating with our hands like we did in Mozambique. It was fun for like all of one minute and then it was just gross, but I kept on doing it. I am actually quite good at it. You use your thumb to push it in your mouth and shake your hand over your plate to shake of the excess rice to be scooped up later. I watched closely. We went to the movie store and rented an independent film about a boy in Vietnam finding his father in America. It was heavy and long and depressing. So now I have tomorrow to maybe get another one of the Susan's Special Hazelnoot koffie's and window shop in Zutphen. 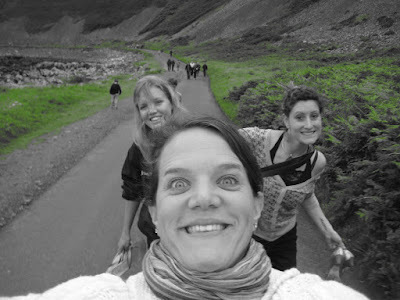 I also want to be able to say goodbye to Mirjam and Pauline tomorrow night. 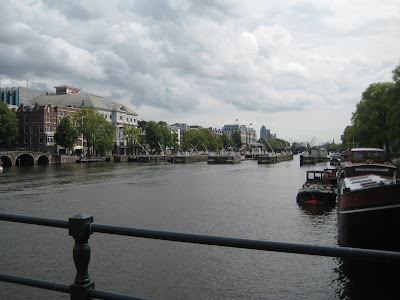 I will leave Thursday morning for Amsterdam. I am still going back and forth with my contact people there, but plan on meeting up with them in the afternoon and staying the night there. I would like to see the city. One of the girls works with a prayer house, so I hope to get to go there. It will be nice to be close to the airport on Friday morning. 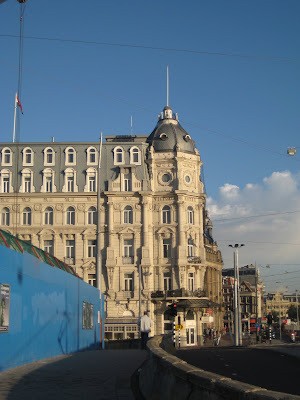 I will just take the train from the Central Station and it is only about a 20 minute train ride. Also, the flight looks open for first class. Back in Zutphen, enjoying my view and the sounds of church bells and Dutch. Ja and Nee, is about all I can undertand. I am waiting on "Jennifer", AKA, Tamara to get off work. Kellie's mother, struggling with our names, decided to give us made up names of whatever she preferred to call us. Tamara got Jennifer and I got Mildred! What's up with that? So we have laughed over our new identities. I am not sure what we have planned for tonight, but I hope it is low key, as I am exhausted from getting up at 4:00am this morning. Loren and Kevin were kind enough to get up soooo early and deliver me to the airport. And even my sweet sweet hosts Kellie and Grace got out of bed to tell me good bye. I blew my last 10...there is no sign for, pounds...at Starbucks on a chocolatine, big coffee and a vegan falafal and hummus wrap to stash for later and wanted to buy a copy of Star Magazine to read about Angelina and Brad's new babies, but the line was way too long and I was not about to jeopardize missing my flight over those two wierdos. Hmm, but I would spend $5.00 to read about them? I was trying to get rid of unused currency...that's my excuse. For now the plan is to hang out here today and tomorrow. I want to get some grocery store items to bring back for a traditional Dutch meal for the family. 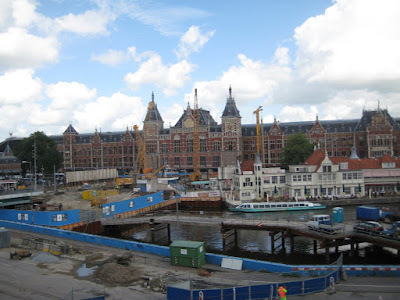 I think I may leave Wednesday morning to go spend the remainder of the week in Amsterdam. More soon. P.S. Postcards are purchased and written, just need to find the post office around here. This is a good wee map of the area that I have been travelling. 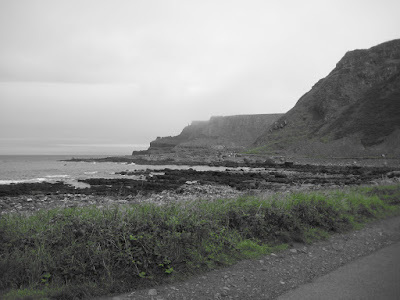 The Antrim coast was amazing, as was the drive from Portstewart to Londonberry. I spent my last day along the River Roe near the town of Limavady, the name meaning "dog's leap". Legend tells of how the faithful hound of an O'Cahan chief leaped a gorge on the River Roe to get help during an unexpected enemy attack. Another version of the tale tells how the chief made the giant leap on horseback to escape pursuers, they being unable to attempt the same feat. A horseshoe shaped print on the rock of the far bank is absolute proof of the story! The rocks at Dog Leap are of Precambrian age, perhaps around 590 million years old, belonging to the Ballykelly Formation (part of the Southern Highland Group). They predate obvious fossils. As might be expected with rocks of this age, they have been metamorphosed i.e. altered by heat and pressure, while deeply buried. The minerals chlorite, epidote, muscovite, quartz and albite, which are common throughout the Ballykelly formation, are all present and indicate a relatively low degree of metamorphism (‘Greenschist facies’). The common rocks of the formation are psammites (rich in quartz) and pelitic (of shale-like composition) schists but there are also slates, thin limestones and epidiorites (rocks with basaltic chemistry). All the rocks have complex structures caused by plastic deformation, with new minerals growing during compression, folding, faulting and extensive jointing. There have been several phases of cleavage and foliation, each giving the rocks a distinct ‘grain’ by aligning minerals, and often creating planes of weakness in the process. Metamorphic rocks are notoriously difficult to interpret but the Dog Leap succession suggests a series of turbid sediments created by the sliding and mixing of sands and muds on the continental flanks of a large ocean basin, far from land. Volcanicity appears to have been associated with their formation (indicated by the epidiorites). The thin limestones are probably biological remains - but of what it is now impossible to say. 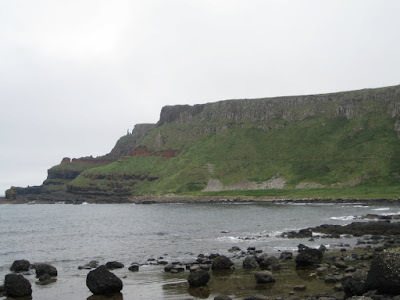 The rocks of the Claudy Formation, immediately below the Ballykelly, indicate shallow water environments, so a progressive deepening of the sea floor seems to be a major trend in late Dalradian times. Long after the close of the Precambrian, during the Ordovician period (from around 450 to 475 million years ago) the rocks were metamorphosed and intensely deformed, giving rise to the many structures evident at Dog Leap. This phase of mountain building is part of the Caledonian orogeny. Dog Leap is regionally important because it is the best exposure showing the rock types and structures of the Ballykelly Formation and has the added advantage of public ownership (by its inclusion in the Roe Valley Country Park). The water-polished rocks in the river bed clearly show the detailed structures of the formation and access is assured and safe. 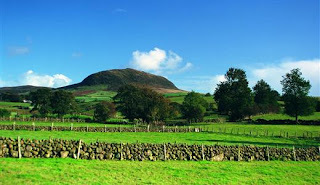 Slemish is the remains of the plug of an extinct volcano. Its distinctive appearance—its upper reaches are very steep and rugged, in contrast to the tidy fields on its lower westward-facing slopes and the relatively flat bogland to the east—causes it to dominate the landscape for miles in all directions. Tradition holds Saint Patrick tended sheep here and this was where he spent time finding God. We got in. It was freezing. We went to Portrush to White Rocks Beach and all jumped in...not for long. Then quickly got in the car, turned the heat on high and went to the grocery store to buy stuff for dinner. We came back to Georgina's and the boys cooked. We all then gathered in the living room and everybody got on a laptop and pecked away till midnight. I just got up and had an instant coffee. We are making plans for the day and I have no idea what we will do. A fire on the beach has been mentioned. We shall see. We just got back from staying overnight in Ballintoy. Just the drive there was amazing. Everything is so green and there are fields and fields of sheep. Then, the most amazing cliffs you have ever seen, all dropping off into the ocean as far as the eye can see. 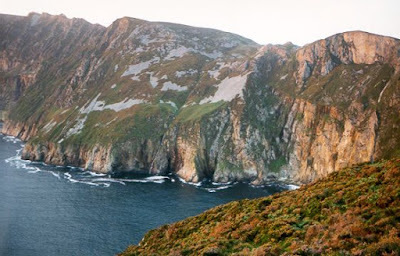 It is just hills and cliffs and green and sheep and OCEAN! and it is breathtaking. We walked out to a point where a church was on a pier and watched the sunset and I took tons of pictures that I will post more soon. We drove into Ballycastle and had fish and chips for dinner and came back to our quaint little hostel and slept in wooden bunkbeds with a group of Italians..yes, strangers. But I slept better than I have in heavenly beds at the Westin, as I snuggled in my sleeping bag and looked out the little sky light and was awakened by the baa of the field of sheep nearby. This morning I had breakfast on the go...instant coffee left by strangers at the hostel and an apple pancake I ate with my hands as I waited on the gang by the car. We then went to this amazing rope bridge and crossed over and took pictures along the cliffs. 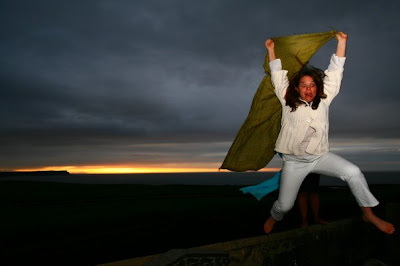 There were big sailboats out in the ocean and I wanted to be on one...but then I decided to be grateful for the fact that I was standing in Northern Ireland, looking over the ocean, viewing Scotland from a distance and could feel the cool grass between my toes and counted my blessings. We went to a little oceanside cafe for lunch and I had vegetable soup with Wheaten (bread) and then the best desert, Irish Cream Lumpty Dumpty...to die for. We are now back at Georgina's having tea and planning our camping trip on the beach tonight. She just got back from the bakery with fresh bread for our sandwiches for our trip tonight. I will post pictures ASAP. It may be late tomorrow night before I get back to my house in Ballymoney. 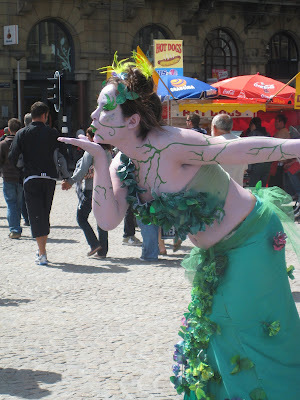 I am not sure what I am doing on Sunday, but will be leaving early Monday for Belfast, then flying to Amsterdam. 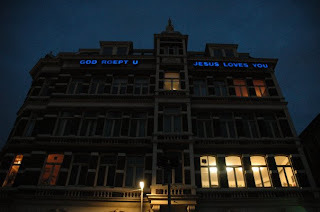 I don't know details yet, but a friend from Holy Given has offered to let me stay in a community home with her friends in Amsterdam. 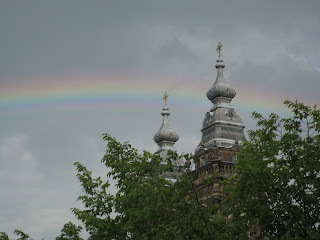 On Wednesday morning they go out to the Red Light District and pray for and minister to the women there. The thoughts of doing that intimidate me a whole lot, but how amazing would that be? I would really like to have the opportunity to do that. So I may go to Zutphen on Monday and stay until Wednesday morning and then take the train into Amsterdam, lug bags across the street from Central Station to this "community" house and go out with the group to minister and then meet up with a friend of Monique's to see Amsterdam some on Thursday, or perhaps just strike off by myself. Then my flight leaves Friday morning, still praying for first class favor. More soon...I really got some amazing photos. It's raining in Donegal so we are going to Co Antrim near Ballycastle (I think) to stay at the Sheep Island View Hostel...will have photos and stories for sure! 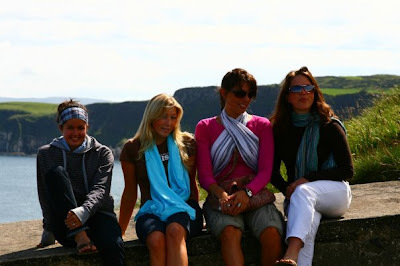 We are leaving shortly to drive to Donegal, Ireland along the coast to find a place on the beach for camping. 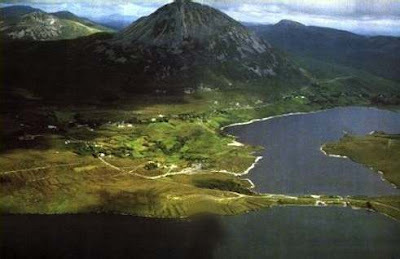 Here are a few pictures of Doengal and Errigal Mountain. I will be gone until Saturday. Hope to have more photos and stories to tell. Today we went to Giant's Causeway- these pictures do not do it justice and these don't actually show the way the rocks are formed into hexagons, so google it and see them for yourself! They are quite impressive. 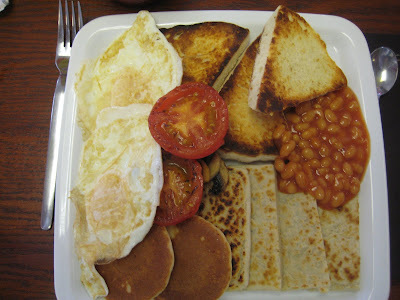 The last photo is of the traditional Irish breakfast this morning, without the sausage and bacon...So many carbs! We also went to Old Bushmill's Inn for a pint of Guinness and to a little harbor town, Portstewart for Banoffee Ice Cream, banana and toffee. Then we came home and had a nap. The gang is gathering here at the Holbeche's tonight and we are having traditional fish and chips. Tamara leaves early in the morning for Zutphen. Still uncertain what our camping excursion will look like. I have simply been enjoying sleeping in, cool rainy days instead of hot humid ones, and tea in the afternoon. I cheated and got this picture and some historical info off the internet, but we just took a drive along the Coastal Causeway. I will try to add more pictures of exactly where we were, but it was amazing coastal views, farmland with sheep, and "mountains". But it was very overcast and raining. Which happens a lot here. 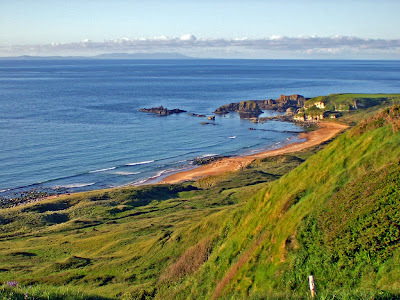 Castlerock lies west of Portrush along the North Coast and is a small coastal town with a relaxed atmosphere, a fine golden sandy beach and an excellent championship golf course. An ideal spot for those seeking a relaxing break in an area where boating, fishing, walking, golf and tennis are the most popular activities. 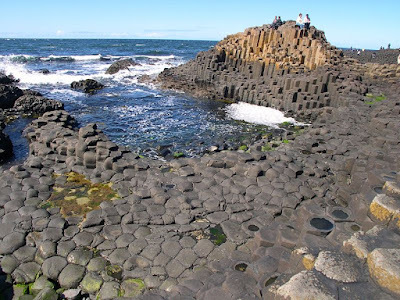 Only eight miles from Coleraine and the bustling resort towns of Portrush and Portstewart beyond, Castlerock enjoys the best of both worlds as a quiet retreat within easy reach of the amenities and entertainments of it's larger neighbours. 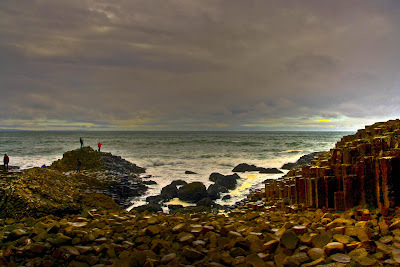 Portrush and Coleraine can both be reached by train from Castlerock along one of the most scenic stretches of railway line in Northern Ireland. Nearby, the beautiful beach and attractions at Downhill are watched over by the famous Mussenden Temple - one of the most photographed and painted landscapes in Ireland. The area is also renowned for the dramatically sited Downhill Castle which, together with Bishop’s Gate and Mussenden Temple, is maintained by the National Trust. Built in 1772 by the globe-trotting Earl of Bristol - also at one time Bishop of Derry - it once housed a collection of treasures he amassed on his travels, including rare manuscripts and books, sculptures, paintings and antiquities. A disastrous fire in 1851 destroyed much of the collection and the castle was never restored to its former glory. It remains an interesting ruin. The original entrance to the Castle, a fine classical lion gate known as Bishop’s Gate, now leads to Portvantage Glen, a pleasant, tranquil park with a nature trail, fish pond, car park and picnic area. Downhill Forest, across the main road, boasts a collection of rare trees and two sparkling waterfalls, as well as a mound known as Dungannon Hill, the remains of a prehistoric settlement. 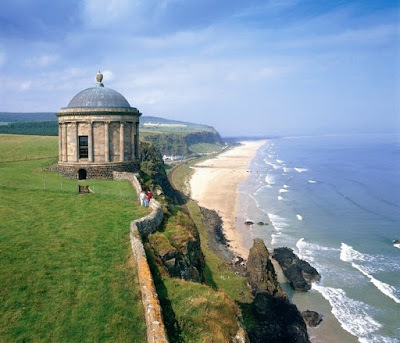 An outstanding and endlessly photographed landmark of Downhill is Mussenden Temple. Perched on the cliff-top, it is a classical folly built by the Earl Bishop in 1783 after a trip to Italy where the Temple of Vesta at Tivoli had inspired him. Around the border of the urn-crowned dome is the inscription: ‘Tis pleasant safely to behold from the shore the rolling ship and hear the tempest roar’.